TV NEEDS TO BE IN A WAITING ROOM! I simply like this auto shop. get in and out fast. The personnel and the service I received was excellent as usual. Gabriel and her team do a fantastic job EVERY time.BUT...Your corporate office wants us to wait in our vehicles...most that I have talked to do not want to wait in our Vehicle but use the waiting area that you just paid several Hundred thousand for. You have removed the TV and the coffee is not always servisable. The waiting area was hot and the A/c Turned off.I had to go out side to check out...very unprofessional...considering going down the street where all of the above is available. I have used your company for several years and have had excellence experience until this year. I drive a lot of mile and service my vehicle every 5-6 weeks and well as my wife's car.My name is Tim Lamb and my Phone number is 972-742-3708.As I use to tell my Salesmen...Those that have constructive criticism will come back BUT those that say nothing will never return...look next door at the new Car wash...Very little business...bad decision...very few will return!! State Inspection visit but consequently unable to complete online registration required a second visit to enquire if there was problem however unable to resolve. Person told me problem with “state” computer to go to Tom Thumb to register.. at least they were helpful!! store manager was very attentive & informative to my car needs, I had no clue what I was looking for but he was able to guide me & help me on what I needed done to my car. Also didn’t try to over sell me . Very genuine person . They allowed me to check my own oil level upon arriving and did not pressure me into buying upgrades on my vehicle that I am capable of doing myself. I was extremely satisfied. They staff is quick and knowledgeable and helped me out tremendously. Staff was courteous, efficient, and friendly. I did not have to wait for my services to be completed. This was my first time having a station change my oil so I had a few questions about the process, and the staff were able to answer them to my satisfaction. The shop was clean and looked organized. It was very quick I was finished faster than any other place I know. The person talking to me helped me understand what services were recommended by my dealership and what was a higher priority. The other guy working on my vehicle was really nice when he helped me reset something in my car. Done quickly and done correctly. Friendly, helpful, professional staff. All explained and no high pressure up selling. I have used this location numerous times and will continue to. The staff is always knowledgeable and courteous. They do very good work. I’m a regular there as well as my daughter who comes from downtown Dallas to this store because she trusts their work. Staff is always attentive, friendly, professional.Establishment is always clean. My visit was great! All of the guys in the shop were very kind and Carter was knowledgeable and trustworthy. I wouldn't go anywhere else! The staff is friendly and quick. I forgot the name of the female that works at this location but she is awesome. I brought my son's car in for an oil change on a previous visit. Immediately afterward there was an obvious coolant leak so bad the car had to be pulled over. I called, spoke to her and she came out to our location with more coolant so we could get it home. I was so impressed and thankful I made this my new location. 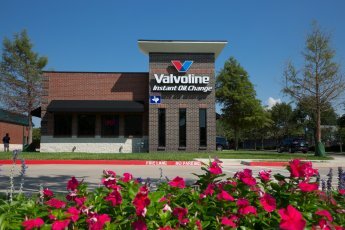 I've moved to Lewisville and there is an oil change place I can see from my living room window that would be more convenient to visit but I will continue to go to Valvoline in Coppell so long as she is working there. The manager, Carter, was extremely efficient. There was a sense of command and respect and working together. The entire staff in general were working together very well, they were like a well oiled machine. Everyone was working quickly but didn’t seem stressed, just in a good flow. Top notch experience overall. Fast courteous service keeps me coming back! Great staff, great service and very comfortable with their knowledge. Very quick and efficient and no pressure or pointless service suggestions. Will continue to be a repeat customer. I have been going to this location for awhile. Everyone is very friendly and the service is awesome. Chad helped me today and he fully explained everything in detail to me. He has great customer service and makes me feel good about bringing my brand new vehicle here to get it serviced. I will continue to use this location for all of my vehicles and have let as many people know about the great people that work there. Excellent service. Gave great advice and very courteous throughout the entire visit. Excellent courteous staff, and fast friendly service. Price seems a bit steep, but I feel justified because of my confidence in the quality and attention to detail that this store provides. It was practically perfect in every way. The staff was awesome. I was able to be seen immediately and the staff were very friendly and helpful. While things that needed to be done were brought to my attention (ie tire rotation and air filter), I did not feel pressured to have Valvoline do the work. I was very satisfied with my visit and will return. Great, no pressure, customer service. Super fast in and out. Great experience today! Someone greeted me before the car stopped moving. I told them my battery was weak. They assured me they could check it out and replace if necessary. (That is- we can fix it! ).Witihin minutes, before my coffee was ready, I was told what the problem was and how much it would cost to fix it. I agreed. Before I could finish three pages in my book- my car was ready.Great service at a fair price all the way around! Team was very nice and friendly. I was in and out in 15 mins. Good job and thank you! Over the last few oil changes I've received from Valvoline, I'm always impressed by the quality service and speed at which employees work. I've always driven away satisfied with my experience. I understand the need to recommend additional services needed. I purchased a new cabin filter which was needed and a new battery was recommended because it was at 40%. I will consider getting a new one soon. When I checked the battery today I noticed battery acid around the terminals. I cleaned them and it took me about 1 min. Seems like this probably could have been done by you’all when they checked the battery. No one else was in the shop at the time. The staff is great there but I have no idea why this type of thing is not routinely done. They are friendly, quick and communicate well! She was great; efficient and friendly, once she got to me. I always come here for many years and have always been happy. I like the fact they didn't make me get out of my car and sit in the waiting room. They let me see everything they were doing. I visited other oil change companies and some didn't refill oil in my car, and only found out when the car stopped. So, Thanks Valvoline for establishing a trust factor with me! This is my go go Valvoline for my Oil Change. The Staff there is always very friendly and never pressure me to do more than just the Oil Change. All associates I had contact with were friendly and courteous all said hello and they were all smiles great experience!! I take all our family cars to this location. The associates are excellent! Highly Highly recommend!! I had a good experience with the staffs. The waiting time was almoat nothing. Customer service was very well done and quickly. The mechanic was gentle and caring. The staff is always professional and courteous. They do good work and I have confidence in them. I only go to this facility as I’m not pressured to buy additional unneeded items. Staff is great!!! I needed to get my car inspected for the state. The staff was fast, efficient, and very helpful. The crew took care of my car right before closing, and had a great attitude and record service time. I'm so glad I can use a Groupon for extra savings. I have a long commute, and it's good to know that there are affordable options to make sure my car is in good shape. Merry Christmas! Quick Service. No pressure sales. Very quick service and nice people. The employees were knowledgeable, efficient and helpful. When I said the synthetic oil change was expensive, they suggested I buy a Groupon coupon that would save $30. Without that suggestion, I wouldn't have been a highly satisfied customer. The manager, Gabie, is always friendly and willing to help.The service personnel go the extra mile. they did a very fast oil change, however, i did not get a receipt for service. they said they would send it via email, but never came, but did get this survey via email. how do i get a receipt for the services done on 12.07.18? It was quick! Great, friendly customer service!! Such pleasant employees with great attitudes! They did not place a reminder mileage oil change sticker on windshield. Expeditious service with no waiting or hassle. Customer service is always EXTRAORDINARY, they’re extremely fast and friendly. I drive from Arlington, TX to Coppell just because this location is like no other. Service rep was attentive and informative from beginning to end. She let me know about my options to change my cabin and air filter which I knew I needed. Usually, I would buy these filters on Amazon (same day shipping) and install myself, but the service and convenience was so good, I decided to give Valvoline my business. Very professional and courteous staff. Made to feel that my patronage was sincerely appreciated. Got an oil change and state inspection and it went fast. Thanks. Outstanding service! Very professional employees jo were efficient and effective. Very helpful, too!!! I always come here. They are phenomenal at what they do and very friendly. It was quick and they did a great job. One of the workers checked something behind my glove compartment. When they did this, they unhooked something and did not put it back once we were done. I had to figure out how to put it back myself. I was also not told prices before hand. Overall, amazing experience. Went in for an inspection, pulled right in and was out in less than 10 minutes. every time I have been to this location I am directed into the Bay quickly and the team members meet me at the door to ask what I need and they direct me to the waiting area. Very professional. The service is always fast and everything is explained to me so I have no questions and I understand everything that they did and itemize the cost. I will be back! The only reason I waited outside was because I brought my motorhome in for service. Techs had to change the oil outside the bay. Techs were very friendly and extremely helpful. I really enjoyed every part of the oil change. Everyone was extremely professional and polite. Place was clean and well organized. People were extremely polite. Price was a little high, but with a coupon it was acceptable. Easy painless visit. Staff was prompt and kept me informed. Never felt like I was waiting too long. Staff was very professional. Staff was very prompt and professional. Work was done very quickly. Fast friendly service with a smile. No complaints. Always exceptional service and they are quick. Gabby was extremely professional! She let me know everything that was going on and everything that they were doing. She was just all around exceptional! The guys did a wonderful job they were through yet fast. I will be returning. Thank you! The staff is very courteous. I have been taking my car to them for several years now. I've been coming here for many years. Great staff. Professional, attentive, and very pleasant to work with. They recommend services, consistently do a good job, and listen to customer concerns. Thank you. The employees here are very professional, nice and accommodating. This was my second visit and I was very impressed with the service and communication. I will be bringing all my vehicles here from now own. You have a great crew! Your staff at this location are excellent. The customer experience here is what brings me back. I didn’t have to make an appt. The work was very quick. I was told what services I will need in the future. This location is always super quick and knowledgeable. They finished my state inspection and replaced my broken headlight in about 20 minutes. I look forward to returning for future oil changes with an efficient team. Very fast. Only 10 minutes. They also topped all my fluids and put appropriate air pressure in all 4 tires. Service was explained, cost explained, recommendations provided without pressure. Staff was courteous & professional. Waiting area & bathroom was clean. Service was performed quickly within time quoted. The service was fast and professional. I went on my lunch break and wasn’t there for long. I feel they were honest on their recommendation and pricing. And I was not pressured like other places. The team made sure I knew the condition of my vehicle, gave me options on my air cleaner, blades and asked my preference in air pressure. My oil status menue on my trucks computer was reset and all was in good order. There was no wait and the service was prompt. I enjoy the people there, and they are very efficient! I never have to wait on and they do a great job! I also like the coupons that help reduce the pricing! The guys were friendly and reassured me about their services after I had a bad experience at a different oil change shop the day before. Always a great, friendly, hardworking staff. You all are great for "mothers on the go!" You need to tone down the up-sell. All was good. No issues!! The staff was fast and conscientious. Dropped it off and was ready when I returned. Highly professional staff. The service team was friendly, showed me to the waiting area and explained what they were going to do to my car. Very professional! The staff was very courteous and helpful. They just took a little longer than usual. But the timing was definitely under 20 minutes. I was having a minor issue with the boot on the right side ball joint and needed to have it greased. The grease gun at this location was not working so the ball joint wasn't greased. I understand these things can occur but nobody informed me until I was in my vehicle beginning to pull out of the bay. I should have been told about this problem much earlier. The staff were friendly, knowledgeable, and there was no pressure. They informed me of my options and their professional opinions. I pulled right in with no wait and the service was completed expediently. Very good experience overall (also my first). I always enjoy getting my oil changed there because I get see and be helped by Omar! And to get helped by Devon too was an extra treat!! Customer Service is always wonderful and staff always takes care of both of my truck and car. I’m always coming back for service. Got right in. Everything got done in a timely fashion. Courteous employees. I take both my vehicles here for oil changes because of the convenient location, and the staff doesn't try to sell you 10 million things you don't want or need like other oil change places. I'll never set foot in a jiffy lube again. the staff is knowledgeable, polite, and get the job done in a great time. I was in an out very quickly once air got to the pit. Friendly staff. Reminded about coupon. This is where I usually go, it’s convenient, staff is always courteous and never had any complaints or problems. I've stopped in before just to have them help me with sensors, adjust tire pressure, etc. - they are always so friendly and willing to help, so it's my "go-to" place for all, and certainly including oil changes. Gaby was was super friendly, offered extras but wasn't pushy. I called ahead and they let me know that they were not crazy busy. I pulled up, they greeted me in the parking lot and took my car right in. Service was quick and affordable. I'll definitely go back to this location and others. They got me in and out in 15 minutes. Did not try to upsell me on anything. Called ahead & got coupon emailed to me. Drove up & they immediately ushered me in. Started work ASAP & I waited less than 10 minutes in total. Very easy process & everyone was very nice & helpful. you don't have to worry about them not putting your filter on tight. They do all the work, clean your windows and your out o there. MOD on 8/11 was helpful as always. I don't often take surveys but the service here is some of the best of any place I regularly go to. Staff is always friendly, personable and service is very fast. I am a new loyal customer. Amazing staff!! Highly qualified, super helpful and FAST. I do not like paying $37.00 for an oil change and that was using a $10.00 coupon. Guys do a solid job and prices are comparable to dealer. The staff at the location I went to were very professional, courteous and efficient. They had me out of there in under .5 hr. I've always loved the Coppell Valvoline staff. Everyone that has ever worked there has been uber-helpful. They've always been thorough in their diagnostics and communicate every issue/status/condition very very well-- and somehow in a way that is calming instead of alarming. Went in for an oil change. They found a nail in one of my tires and told me so I could take my car to my tire purchaser for removal. The nail had not punctured the tire yet so I was able to get if fixed immediately without any damage to my tire. I truly appreciated the notice. They saved me a flat tire and the trouble that would entail. The crew was very professional and polite during service of our vehicle. The whole crew ate all so knowledgeable & respectful. To many add ons attempted. The people there are so honest, I will only use them. I had a car that I felt the oil change had been done but not stickered when it had maintenance done on it at a mechanic shop I. Dallas. They were so honest gave me a new sticker and told me the oil was clean. I returned in thirty minutes with another family car and will return with another family car shortly. The service was executed promptly and The employees were very professional! The representative went out of his way to accommodate my time crunch! Great customer service!! The manager Gabey and her team are always professional, courteous and knowledgeable about your products and services offered.The only complaint is that the new waiting room is always to hot. I don't think the a/c works properly.I service both of our vehicles here! Customer Service is always wonderful keep up the good work customer for life. The outside temperature was 109 degrees. I was afraid of the wait that would be needed to service my car. When I arrived, I pulled straight in. Everyone was polite and helpful. My biggest surprise was how quickly everything was done. It was the fastest oil change in my experience. Courteous employees. Weren’t pushing me to buy unneeded extras. Quick visit. Nicholas was very hepful, made conversation with him, and he let me know of other problems with my car. I'd definitely come back here for the fantastic service. Thank you Nicholas. Could have been a little more air of excitement going on. Waiting room could be a little bit more entertaining, but service was great. The staff was very nice and attentive. I will be returning for my inspection next week and also my next oil change. I arrived just before they opened. When the doors went up they did not hesitate to wave me in and get started. Gabrielle was very friendly. A good job done quickly. Quick and professional service. Appreciated being shown what was serviced and needed replacing. They are always nice. I can drop off my car & come back when it is ready. Always a great place. The gentlemen working greeted me quickly and efficiently. They acted like it was their own business and wanted to ensure that I was serviced properly. Amazing speed, value, and service. My experience is always consistent so I'm never surprised with anything. Great customer service!!! Professional & friendly.